'Murder She Wrote' actress Angela Lansbury's elevation to become a dame of the British Empire had to be approved by the Cabinet here during an "incorporeal meeting of the Government". Born in London in 1925 to an Irish mother, Angela Brigid Lansbury Shaw, aged 88, is an Irish citizen and was named a dame by Queen Elizabeth II for her services to drama and to charitable work. As a result, in accordance with the Constitution, the Cabinet had to formally grant its approval to allow her obtain the title, the female equivalent of the honour of knighthood in the British honours system. An incorporeal cabinet meeting is one where ministers approve various matters over the telephone. It is understood that the request from the British authorities for approval came after the last cabinet meeting took place on Tuesday, December 17, and couldn't wait until the Cabinet formally met again this week. The Irish Independent has confirmed that her honour was one of a number of matters approved by ministers during this incorporeal meeting last month. Known the world over for her portrayal as sleuth Jessica Fletcher in 'Murder She Wrote', which ran for 12 seasons between 1984 and 1996, Lansbury has also retained a house in Cork since the early 1970s. In a statement from Tanaiste Eamon Gilmore's Department of Foreign Affairs, it was confirmed her award was approved by the Cabinet. The Constitution says that "titles of nobility shall not be conferred by the State and no title of nobility or of honour may be accepted by any citizen except with the prior approval of the government". 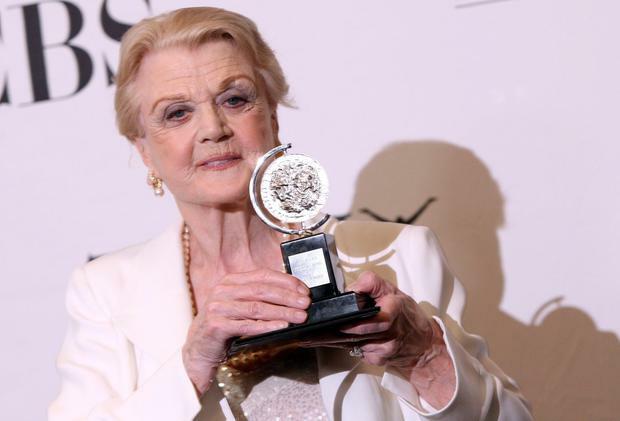 Lansbury is a multi-Tony award winner and three-time Oscar nominee. On receiving the honour, she said: "I'm joining a marvellous group of women I greatly admire like Judi Dench and Maggie Smith. It's a lovely thing to be given that nod of approval by your own country." From March, she will play dotty medium Madame Arcati in Noel Coward's 'Blithe Spirit', reprising a role that won her a Tony award on Broadway four years ago. Known to down a mug of Barry's Irish Tea, she indicated in a recent interview she will visit the house she keeps in Ballycotton sometime this month before travelling on to London to start rehearsals. Last October, the Government was forced to abandon an "incorporeal" meeting of Cabinet to approve the Local Government Reform Bill. The most infamous incorporeal cabinet meeting was on the night of September 29, 2008, to approve the €440bn blanket bank guarantee.